We offer a wide range of procedures, at competitive, pre-confirmed prices that include your operation, consultant's fees (both surgeon and anaesthetist), nursing care, accommodation, physiotherapy, medication, and aftercare - leaving you free to relax knowing there won't be any hidden extras for the healthcare you need. The meniscus is an important structure in the knee joint and is positioned between the thigh and the shin bone. The loss of the meniscus (either due to injury and gradual degradation in the joint or as a result of necessary surgery if it cannot be repaired) can lead to constant pain, swelling feeling of instability and the progression of osteoarthritis. 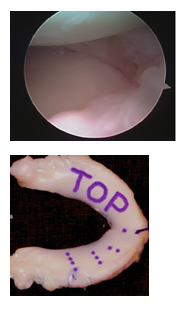 At Bridgend Clinic, we offer various surgical techniques to repair the meniscus and also perform MAT. Mr Amit Chandratreya (Knee Specialist) is well trained and experienced in the MAT technique and is one of the few surgeons in the country to offer this procedure. At Bridgend Clinic we also offer biological treatment for knee symptoms mostly arising as a result of arthritis. Mr Chandratreya is one of the founding members of the Biological Knee society and further details can be found at www.biologicalkneesociety.uk. Treatment details such as bone marrow aspirate can be found at www.celltherapy.wales. Musculoskeletal (MSK) is a term used for conditions affecting your muscles, joints, tendons, ligaments, cartilage, spine and nerves. You will receive highly specialised assessment and management advice from an Advanced Physiotherapy Practitioner or GP with specialist interest in MSK disorders (meet the team). If indicated we can offer corticosteroid injections (pain relieving injection) which may aid in the management of your condition. Face to Face consultation fees include a room fee of £20 charged by ABM trust. Prices for Medical imaging will be charged by the imaging provider. JG MSK assessment will advise you on prices of imaging if required. Cash or Cheque payments will be accepted. Payment will be accepted on the day of assessment or an invoice will be send to you. Please ensure that invoices are paid within 2 weeks. A reminder will be given for late payment. Mrs Alisa Bourne has provided administrative support to the Private Musculoskeletal service since it’s development in August 2013. Alisa provides support to the clinicians in all administrative aspects of the service and insures that all correspondence is sent to GP’s and patients within a timely manor. Mrs Bourne is a well established administrator within the ABMU LHB with a vast experience in medical administrative duties. She combines her role in the NHS with her commitment to providing invaluable support to the private MCAS service.